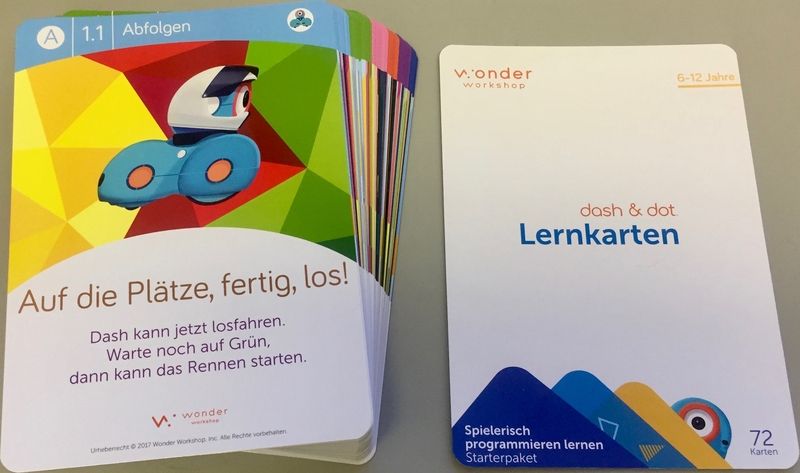 Produktinformationen "Wonder Challenge Card Set"
The set of 72 physical Challenge Cards progresses students through each coding level’s programming concepts. 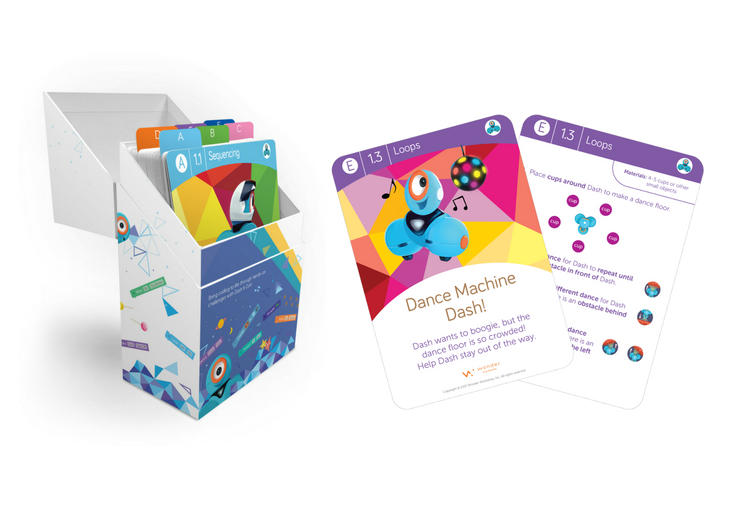 For each card, one side tells a story about Dash and/or Dot. 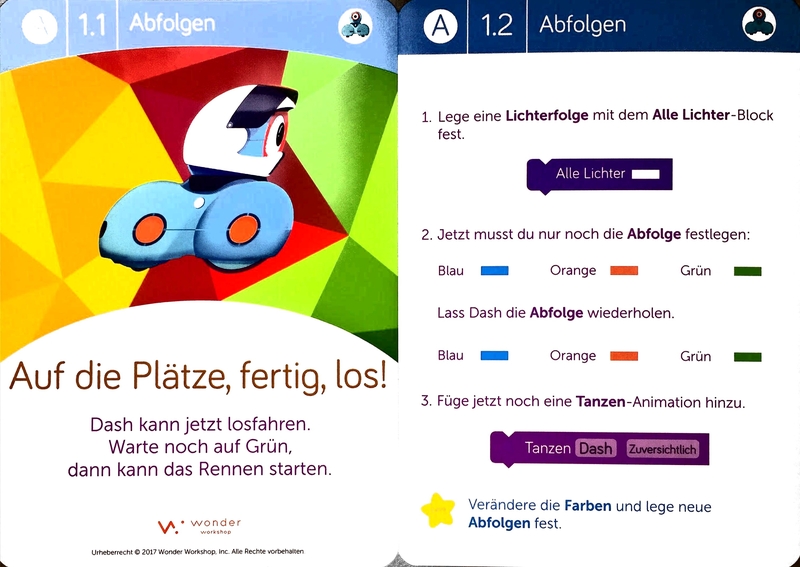 The other side then provides a set of instructions that walks students through the completion of a coding challenge. What is so great about these Challenge Cards? Available in English and German language. Only English comes in a carton box. Enhances, both, the fun while playing and the learning of coding fundamentals. Weiterführende Links zu "Wonder Challenge Card Set"
Unser Kommentar zu "Wonder Challenge Card Set"
Videos "Wonder Challenge Card Set"
Software Apps/Umgebungen "Wonder Challenge Card Set"
Kundenbewertungen für "Wonder Challenge Card Set"